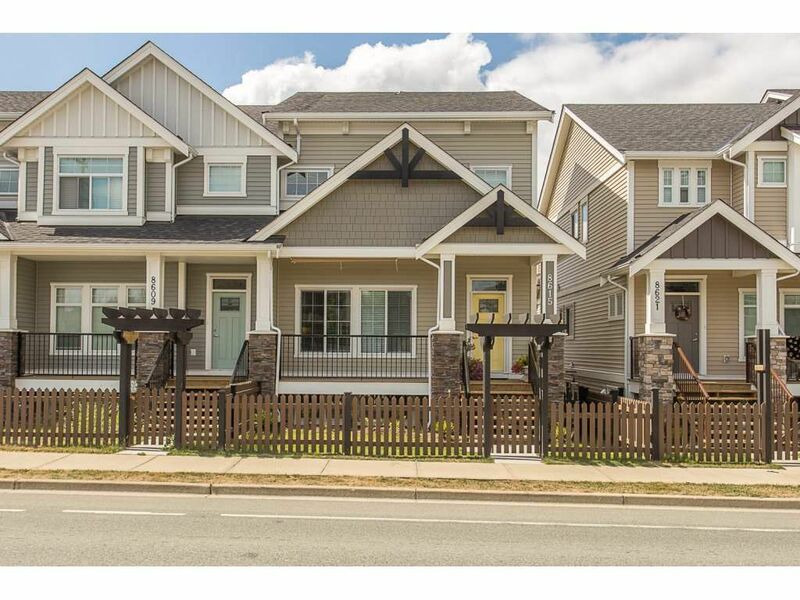 No GST or strata fees to pay on this 1-year-old, better-than-new home that boasts 4 bedrooms plus main floor den and 3.5 bathrooms on 3 finished levels. Featuring a fabulous custom kitchen, complete with quartz countertops and exquisite tile backsplash, classic European finishing throughout, and top-quality extras such as hardwood floors, lighting, tile work and crown mouldings, this is a unique showcase home of superior craftsmanship. The fully finished basement with door to outside area, which features a porch on the front of the home, a covered deck to the rear, and a double-garage off the lane with room for an RV. This is a great family area, handy to schools, transit, parks and recreation. Absolutely immaculate condition. Quick possession is possible.